Now that we can change the state of the game we need a state to change to! Our game will use two states in this tutorial, GameStateStart and GameStateEditor. The first will be the main game menu and the second will be the game itself. For now the class definitions of each will be almost identical, but that will change soon. Both of these states will inherit from the base GameState class, and should be put in game_state_start.hpp and game_state_editor.hpp. A view looks at a certain section of world coordinates, and then draws those in a certain place in the window. We can move the view around, scale it, and even rotate it, which allows us to change how the player views the world without changing the world itself. Whilst the default view that sf::Windowcreates would suffice in our GameStateStart class, we’re going to make our own for clarity and consistency, since we’ll be making two in GameStateEditor. As for why we’re doing that, I’ll be explained when we get there. Now let’s make game_state_start.cpp. This is a longer file, so we’ll put the source code in sections. First up are the headers and the draw and update functions. Nothing particularly new here, except for the setView and draw calls. setView does what it says; it changes the current view that will be draw to window (which we defined in GameState). We’ll actually create that view in the constructor, but it will take up the entire window and everything in this state will be drawn to it. We then have the draw call, which again is an sf::Window member function. See how we’re using game to get a pointer to that window? We could just as easily pass the window as an argument to the draw function in this case, but later on some of the virtual functions will have arguments that we didn’t know about when we created the GameState class. And since we can’t change the number of arguments in a virtual function, we’ll have to use a mechanism like this anyway. That’s a whole lot of SFML code there! We’ll start by examining how SFML processes input. When the user presses a key, moves the mouse, resizes the window or anything else that is an interaction with the program an event is triggered. These events store all the information that comes with the interaction, so a “button is pressed” event will contain which button has been pressed, and so on. To process these events we must use the pollEvent function, which is once again an sf::Windowmember function, and which takes a single sf::Event as an argument. pollEvent returns truewhilst there are still events left to process, and false otherwise, so by placing it in a while loop we can process every event in sequence. We then use a switch statement on the type of the event in order to process it. Here we have three events, a Closed event, a Resized event, and a KeyPressed event. When we see a Closed event we know that the user is trying to close the window, so we should let them do that by telling the window to close with the handy close function. When we see a KeyPressedevent we check to see which key was pressed, and if it was the escape key we close the window. Things are somewhat more complex with the Resized event. Usually when a window is resized, the view will continue to look at the same part of the game world but the window will change its size. This means that what the user sees will become stretched and distorted as they resize the window, which is not very visually appealing! To fix this, we change the view so that the number of pixels that the view can see is the same as the number of pixels the window displays. This way there is a 1:1 relationship between view size and window size and it doesn’t become stretched. That’s what we do with the setSize function. The problem with expanding the viewing area is that if we have a background image (background) we will quickly see an area of the screen that the background image does not cover. Because of this we need to expand the background, too. Of course, expanding the background has exactly the same problem as expanding the window: it’ll be stretched! This isn’t a problem for us though as our background is just a nice, smooth gradient. If we had an actual picture instead, then we would have to create the picture at a larger size and only show part of it, or just stop the user from resizing the window (add a third argument to window.create equal to sf::Style::Titlebar | sf::Style::Close). Returning to the background, let’s examine that setPosition call. Going from the inside to the outside, we first create an sf::Vector2i object. Unlike an std::vector<int>, an sf::Vector2i is a mathematical vector, and in this case a mathematical vector that can only take integer arguments and that has two dimensions. In other words, it’s just the point (0, 0)! But what is that rather long function call next to it? Well as we said before window coordinates and world coordinates are different things. A ball placed at the point (320, 521) in the game world might be displayed at the point (220, 421) in the window due to our use of views. What the mapPixelToCoords function does is convert a position in window coordinates to its equivalent position in world coordinates using the current view. By using that function we ensure that the user always sees the background in the same place, regardless of how much the view is moved and scaled. Note that setPosition requires an sf::Vector2f (which is what mapPixelToCoords returns) and not an sf::Vector2i (which is what mapPixelToCoordstakes). 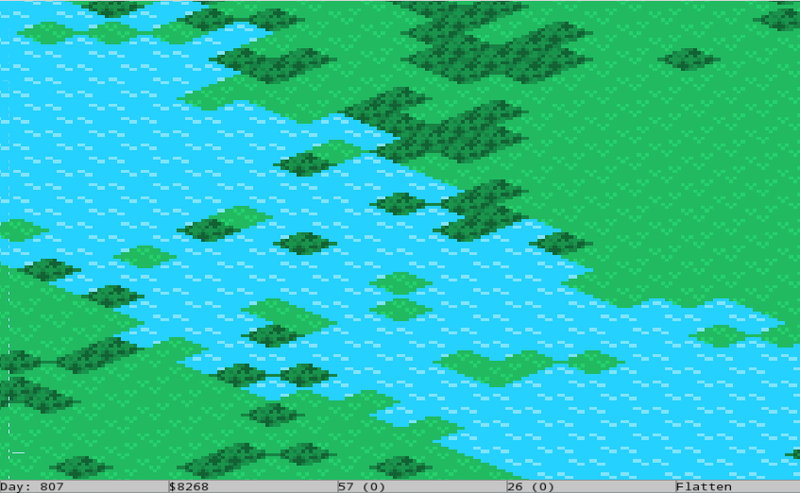 Lastly in the Resized event we have a setScale function called on the background. This just makes sure that the background takes up the entire window like we said before. The scale factor that we use will be different for each dimension (since the window is not necessarily scaled evenly) and is equal to the size of the window in that dimension divided by the size of the image in that dimension. 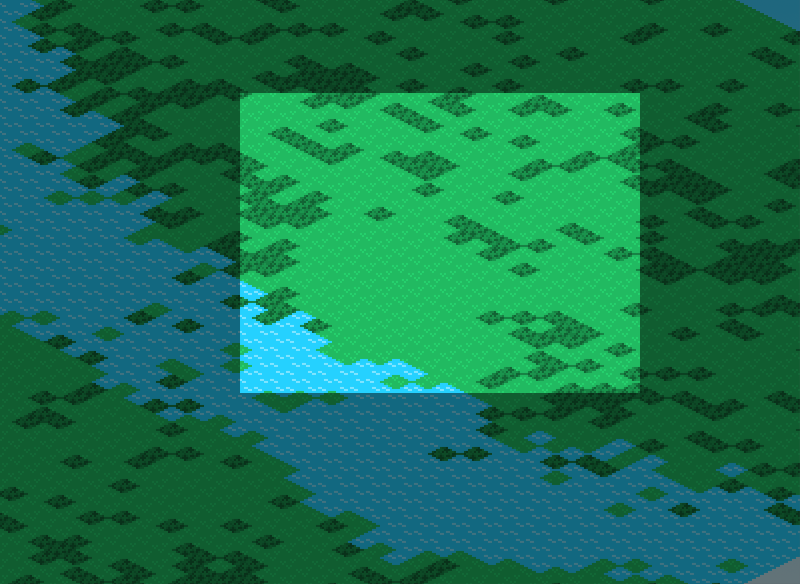 Or to use SFML speak, the size of the background’s texture. We’ll discuss exactly what textures are soon. Lastly we have the constructor, which mostly sets up the view by setting its size to that of the window (awkwardly view.setSize takes an sf::Vector2f as an argument but window.getSizereturns an sf::Vector2i, hence the typecasts). We then center the view on the, well, center of the window. sf::Vector2f and sf::Vector2i work just like mathematical vectors, and so we can multiply them by a scalar (int, float, double, and so on), and we can add and subtract them together. If you aren’t familiar with vectors, addition and subtraction is done component-wise, so (a,b) + (c,d) = (a+c,b+d), and scalar multiplication is a * (b, c) = (a*b, a*c). Since the middle is just halfway along both sides of the window, we multiply the size of the window by 0.5 to get the coordinates of the center. Why multiply by 0.5 instead of dividing by 2? No reason, I just prefer multiplication! Sadly the code won’t compile just yet, as we haven’t defined background, but if you were to comment out those lines then compiling the program and pressing space should take you to the second state! It’ll be rather hard to tell of course, the only real difference is that the escape key won’t close GameStateEditor.